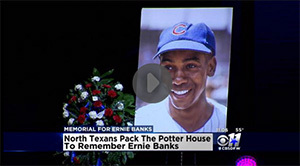 Family and friends of Ernie Banks gathered at the Potter’s House on Friday to celebrate the life of the greatest baseball player Dallas has produced. 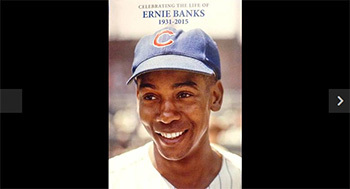 Banks died Jan. 23 in Chicago, the city where he forged a Hall of Fame career as “Mr. Cub.” He was 83. A baseball great, and North Texas native, was remembered in Dallas on Friday. 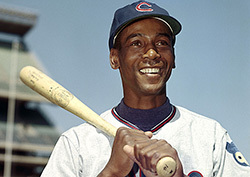 Friends and family members celebrated the life of Ernie Banks at a service for the late sports legend.